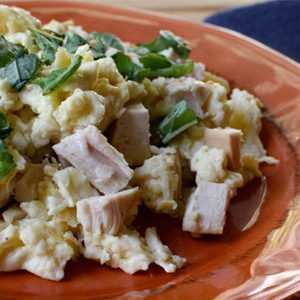 This satisfying scramble is a great choice to start the day with plenty of protein.
. Add egg whites; cook, stirring constantly, for 3 to 4 minutes, or until almost set. 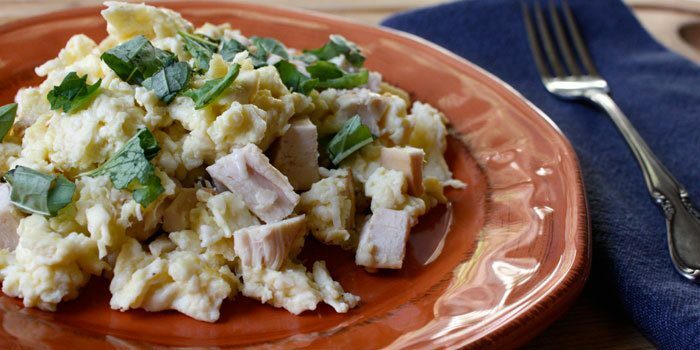 Add chicken and cheese; cook, stirring frequently, for 2 to 3 minutes, or until eggs are set. Season with salt and pepper if desired; garnish with basil.